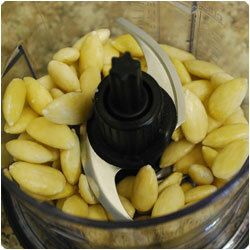 If you have unpeeled almonds you need to peel them. 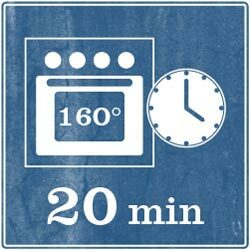 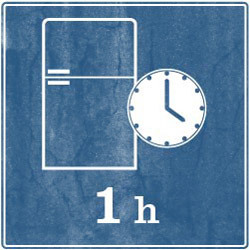 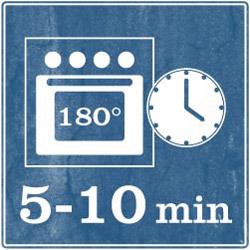 Boil some water in a small pot and preheat the oven at 180°C (350F). 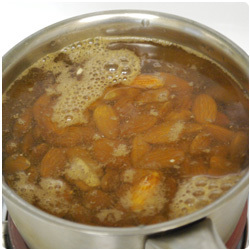 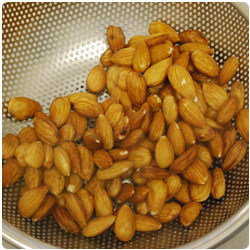 Add the almonds and wait 1-2 min. 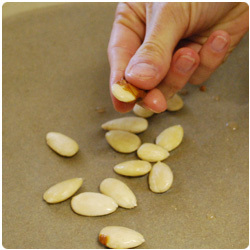 Strain them and simply pressing them with 2 fingers, peel them. 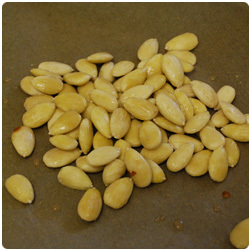 Put the almonds in an oven tray with parchment paper. 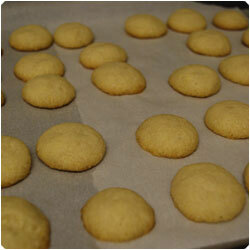 Dry them for 5 to 10 min at 180°C (360F). 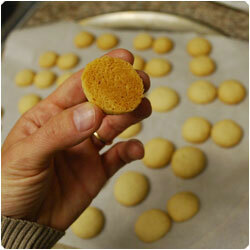 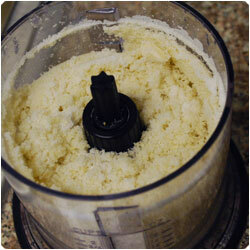 Once dried, put them in a food processor to grind. 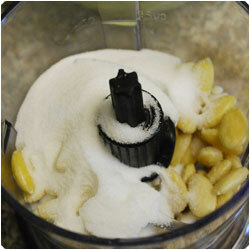 Add the sugar and processes. 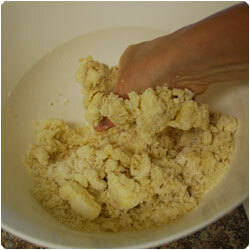 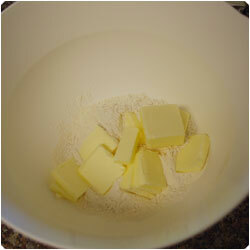 In a bowl add the flour and butter and mix with a mixer. 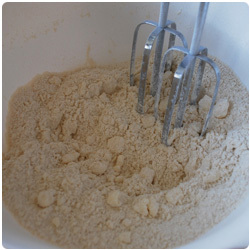 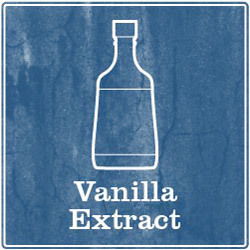 Add 1 teaspoon of vanilla extract, one pinch of salt and the almond-sugar mixture and knead with your hands until a ball form. 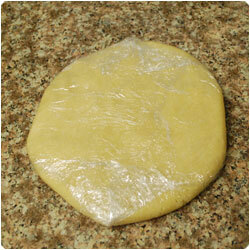 Wrap the dough with plastic paper and let it rest in refrigerator for at least 1 hour. 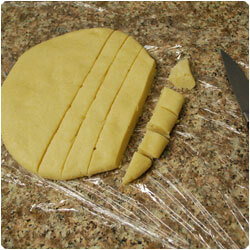 When the dough is cold cut it in slices and then in small pieces (about 6-8g each). 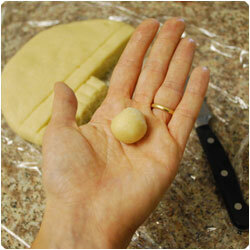 Make small balls rolling the dough with your hands. 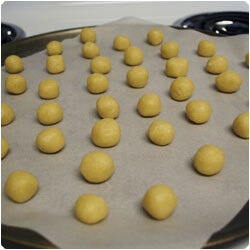 Place the balls on an over tray with baking paper. 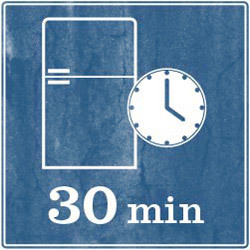 Wrap the tray with plastic paper and let the balls rest in the refrigerator for about 30 minutes. 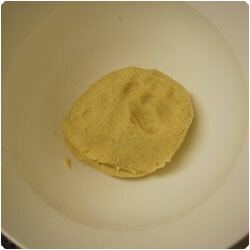 Meanwhile preheat the oven at 160C (320F) and then cook the balls for 20 minutes, until lightly golden on the bottom. 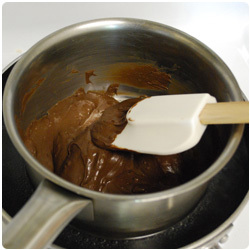 While the biscuits are cooling down melt the chocolate. 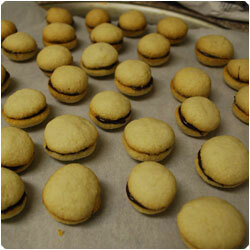 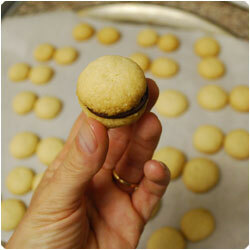 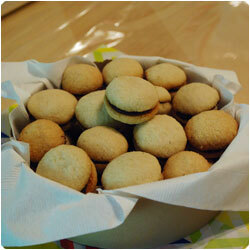 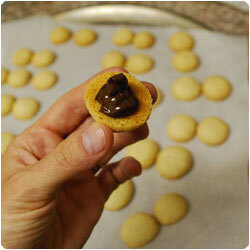 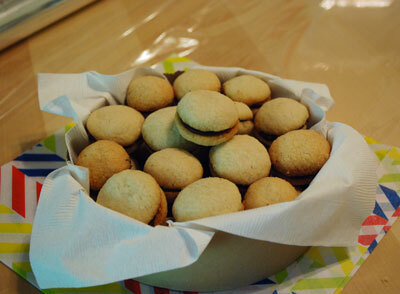 With a spoon or a small spatula spread some chocolate on the bottom of the biscuit.